Last week, a body was discovered in Carnesville, Georgia. It belonged to 32-year-old Keith Ratliff, who was a producer on the YouTube series FPS Russia. Ratliff had died of a single bullet wound, execution-style, to the back of the head. FPS Russia has not posted a new video since. FPS Russia is a massive online hit, so popular that it's the third-biggest series on YouTube. Its influence on the video game community is strong, too; aside from the name, which obviously draws from the genre of first-person shooters, the show's host Kyle Myers (imitating a Russian for the show's gag) has been promoting games like Black Ops 2 and Far Cry 3 on the channel. That's about where the facts end. And where the crazy conspiracy theories begin. Ratliff was the guy responsible for actually getting hold of all the amazing weapons for Myers' show. Many of the exotic and dangerous firearms he uses are illegal for private purchase in the US unless you have a special kind of Federal Firearms License. Which he had. 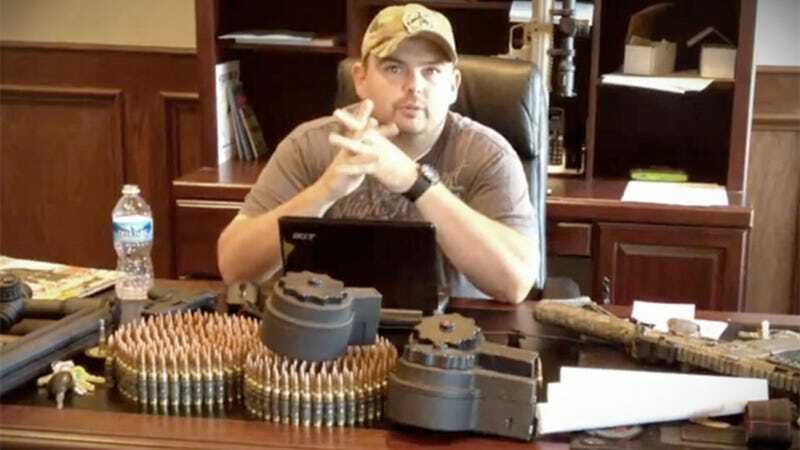 This "type 11" license didn't just let Ratliff buy weapons for use on an online program; as outlined in this excellent report on Vice, it also let him "import a weapon once and then reproduce or modify it to sell on a large scale". In other words, it gave him a license to be an arms dealer. Now, whether he was or not is a mystery. But when you combine this rare privilege with his (relatively) public role and the manner of his death, not to mention a heightened (and heated) level of gun debate in the US at the moment, you can understand why some crazy conspiracy stories are starting to emerge. The first, and most obvious, is that Ratliff was killed in connection to that firearms license. Maybe he was looking to set himself up as an illegal arms dealer, and established players didn't like that. Another, more amazing one being put forward by crackpot sites is that "Ratliff was targeted by some kind of clandestine assault against the pro-gun movement." Or, anti-gun people who use guns to kill pro-gun people. The third, and most amazing, is that the US government did it, because they're in the process of killing "pro-gun leaders" (a gun company owner was killed in a car crash recently). Regardless of how credible or fanciful these theories may be, as the Vice piece points out, the real interesting thing here isn't the investigation into Ratliff's death. It's that the conspiracy theories are evidence of the fact that, while a lot of Americans take the debate about gun control seriously, some people maybe take it a little too seriously, so much so it makes having a proper debate all but impossible.